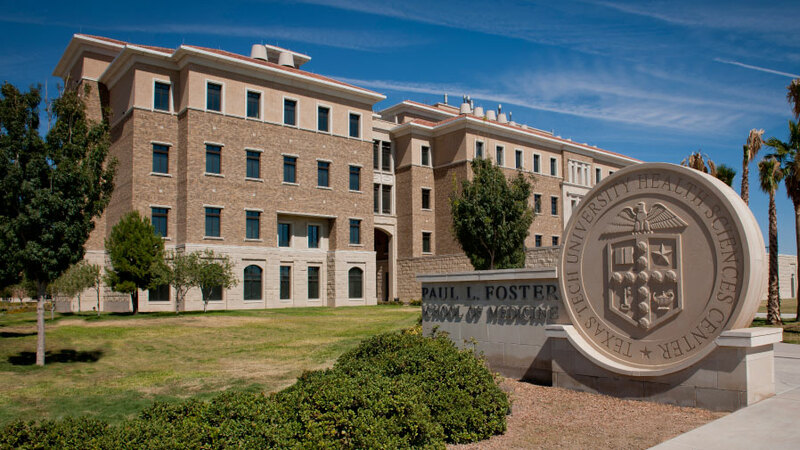 Building on more than 40 years of partnership with the El Paso community, Texas Tech University Health Sciences Center El Paso is a leader in health care education, research and patient care for El Paso and the border region. The research and teaching programs of the Paul L. Foster School of Medicine, the Gayle Greve Hunt School of Nursing and the Graduate School of Biomedical Sciences offer students the opportunity to expand their knowledge through an innovative curriculum that is demonstrating success. Students receive a comprehensive, integrated education with hands-on training in clinical and research settings and are consistently ranked on the list of Best Doctors in America year after year. Gifts to Texas Tech University Health Sciences Center El Paso support the innovative approach of our programs and have a significant impact on the El Paso Border Region by improving access to health care, enhancing quality of life and creating jobs. Your support can help Texas Tech prepare a new generation of health care professionals that will positively impact El Paso, our state and the entire nation. Get answers to your giving questions and learn more about opportunities to impact the Texas Tech University Health Sciences Center El Paso with your gift. Invest in student scholarships, recruit the best physicians and nurses, or fund the next breakthroughs in patient treatment and care. Make your gift today.